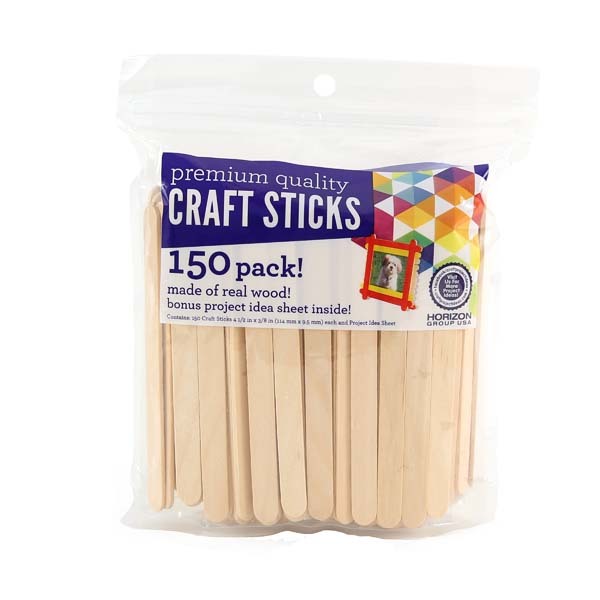 Use wood craft sticks for lots of kids arts and crafts projects! Lay wood craft sticks side by side as the flat base for holiday crafts, stack together to construct 3D sculpture or build paper dolls and puppets! Wood craft sticks also come in mini and jumbo sizes!